If you're someone who finds water boring, give coconut water a try. It only has a mild coconut flavor and is a natural source of electrolytes. Many electrolyte and sports drinks on the market are full of refined sugars that can contribute to weight gain and diabetes. 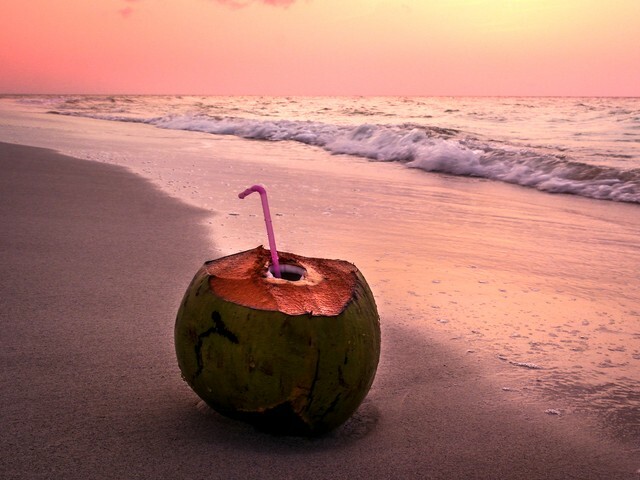 Coconut water is the ideal beverage to consume before and during exercise because less volume of liquid is needed to provide the beneficial minerals, therefore alleviating the feeling of fullness or bloating that other beverages may cause, interfering with optimal exercise performance. Avoid the unnecessary calories and opt for 6-8 ounces of unsweetened coconut water to replenish.